Classic Auto Services will restore your chrome to its original beauty and shine. All metal parts, including pot metal will be stripped to bare, polished and repaired completely to the highest quality standards prior to re-plating. The utmost care will be taken to fill holes (light pitting) and scratches etc., without loosing the original and correct detail. The cost for these minor repairs will be included in our quoted price. Repairs, such as broken or cracked parts to be re-plated will be completed on an hourly basis. All parts are inspected upon receipt here in our shop, then a detail estimate is provided to you the owner or customer to verify actual condition as received by us, and the cost to restore these parts. We keep a digital picture history (log) of all parts received by and restored by us. A digital copy of these pictures is available upon request at a small cost as a courtesy to our customers. Types of Plating services include show quality chrome and gold plating. Additional services such as bright anodizing and dichromate services are provided through this shop as all prep work is completed here but the actual plating services for these particular specialties are performed offsite. Time frame to complete these services at this time is approximately five to six weeks from receipt of deposit (cleared funds) but make sure to confirm as all completion times are contingent upon the work load we have at any particular time in the shop and your delivery time will or may be adjusted accordingly. Repairs (major) will be performed on an hourly basis @ $68/hr. All estimates or quotes provided to you by Classic Auto Services LLC will be honored and will clearly list separately all shipping/handling charges. Payment can be made via cash (always welcomed) check, credit card via PayPal or direct payment using PayPal via using my email address bob@classicautoservices.com money order or wired funds. You do not have to have a PayPal account to use this method. I can invoice you and just follow the instructions. Should you choose to wire funds, please call or contact me for wiring information. 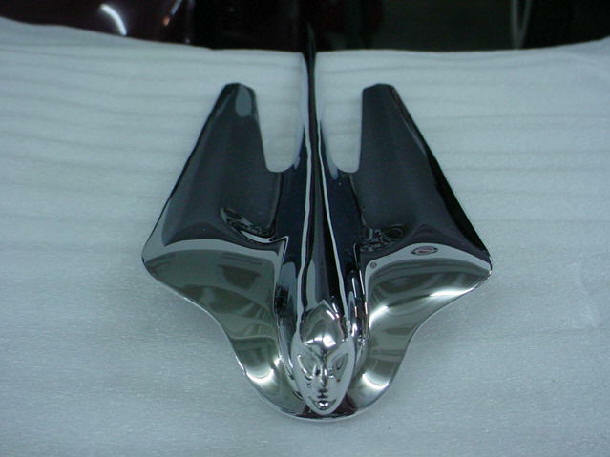 We also provide stainless steel trim restoration and polishing services to concours quality. We are now set up to re-chrome all parts from bumper to bumper. All work to absolute show quality. How do I ship my parts to you? Make sure to include all return shipping information: name, address, contact phone number, year, make and model of car or truck parts, and if there is any specific instructions that we need to know about. Thank you. 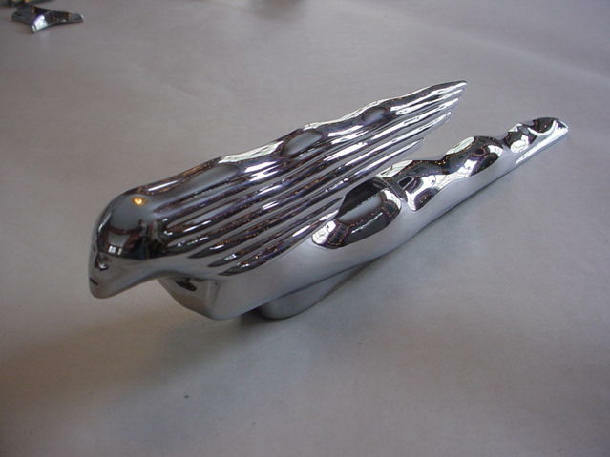 How do I get my parts shipped back to me once they have been restored and or re-plated? We return most larger shipments via UPS and in some small cases priority US mail or Fed-Ex. In all cases, your parts are insured and a tracking # is provided at your request.